R Davidson comes to the Highlands! R Davidson (Banchory) Ltd acquires Kelman Decorating in a move that boosts staff numbers to 100 across the two bases in Banchory and Inverness. A north east of Scotland painting and decorator has expanded into the Highlands by buying over an Inverness-based business. R Davidson (Banchory) Ltd has acquired Kelman Decorating, which is based in the Highland capital. The move will see Kelman’s team of ten move across to R Davidson, boosting staff numbers to 100 across the two bases in Banchory and Inverness. Established in 1930, Davidson is one of the longest established home improvement companies in the north east of Scotland and deliver painting, decorating and plastering for the domestic and commercial markets. In recent years, the firm has worked on some high profile Aberdeen developments. 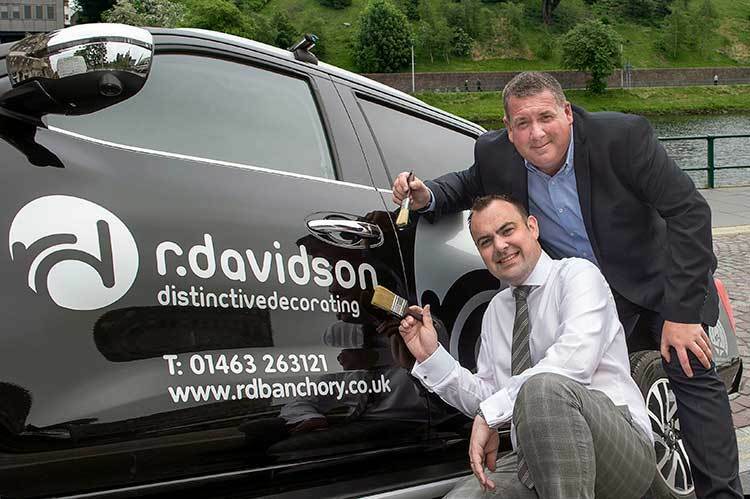 Kelman Decorating has been operating in the Highlands for 40 years and owner, Mark Kelman, will continue to head up the Inverness business as operations manager for R Davidson. The linkage will allow the combined business to expand and broaden their offerings to the market. Trevor Mutch, managing director of R Davidson said: “Mark and his team at Kelman Decorating have created a superb reputation for the family business over the past four decades and we are excited about the opportunity to expand R Davidson into the Highlands with such a skilled team at the fore.